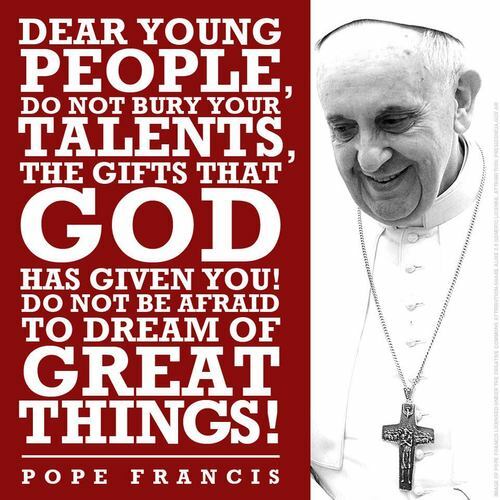 Share the post "Gifts and Talents and the Road to Hell"
Fr. Stephen Freeman is really onto something in this essay: we cannot serve God – or our families, parishes, and communities – unless we first (and continually) empty ourselves in imitation of Him (Philippians 2:5-11). Without that all our actions will be loud irritations that do no lasting good to ourselves or others. Our intentions may be “good” or “loving” in some worldly sense, but unless the love we share is the love of the “new man” (e.g. Colossians 3), we will be transforming our families, parishes, communities, and ourselves into a demonic imitation of the perfect body of Christ. As Fr. Stephen indicates, it’s not about doing right (measured in worldly terms) but about being right – and that is only possible in Christ; and to get in Him, we can only offer our brokenness (not our talents). At some point in my past, there was a survey used in parishes that was all the rage. It was a “gifts and talents” survey, designed to make everyone in the parish find their true ministry and to work together in fulfillment of St. Paul’s description of the Body of Christ in 1 Corinthians. The key in these surveys was to determine precisely what gifts and talents someone had, match them with the right ministry, and fit them all together. The end product would be more effective ministry for the parish and happier parishioners. What priest wouldn’t want such a thing? Of course the draw-back to this scheme was the imponderables. People are not just gifts and talents – they come with issues – with encumbered lives and broken gifts. The gifted singer can also be deeply dishonest or frightened (or what have you). The same is true for the whole parish – including the priest. Another problem can be found in the notion of an effective parish. What does this mean? In Evangelical and mainline Protestant circles, where the surveys originated and flourished, the effective parish was often measured in numbers – parish growth and greater stewardship. A happy parish, a growing parish was a prosperous parish, and a prosperous parish was a successful parish. But these are just cultural notions – standards that would apply just as well to a business. They are not appropriate ways of looking at the Body of Christ. The successful parish is an American invention. Originally, parishes were neighborhood and village Churches, existing to serve the population of a particular area. There was just the Church – not the Orthodox Church, the Catholic Church, the Baptist Church, just the Church. Of course, that Church was originally the Orthodox Church (or the Orthodox Catholic Church, let’s say). But with the modern migrations and various historical upheavals, Church became a purveyor of religion – offering similar products (a worshipping community) but in direct competition with the purveyor down the street. When Orthodoxy first came to America and Western Europe, it found this arrangement to be foreign to its ethos. Instead, it simply established its Churches. From the outside, others saw them as ethnic and unfriendly. They did not provide the same market-friendly face as their American competition. Indeed, they were so non-competitive that they often told inquirers to go away. This same ethnic, geographical model was common in the Catholic immigrations as well. But Churches have learned. America is a powerful cultural engine. Even the Orthodox are slowly learning how to welcome the stranger. Catholic Churches have sometimes learned to specialize, or to offer a wide-diversity of services to accommodate the range of tastes in the parish. 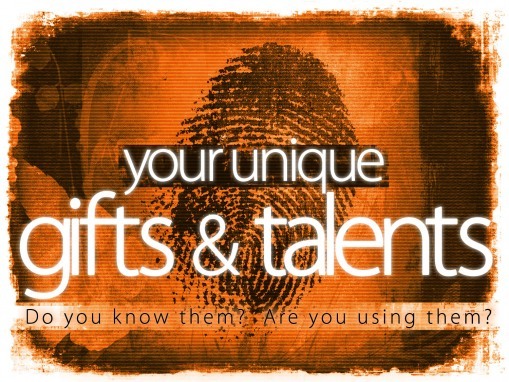 And we have our gifts and talents. “Everyone has a ministry,” I was taught. People in many congregations strained to discern what their unique ministry was. Suddenly everyone in every congregation had a vocation. “Equipping the saints for ministry” (from Ephesians 4) became a slogan for an American vision of the business of the parish Church. But what is the business of the Church? Never has any writing of an Apostle been more abused and misused than the contemporary treatment of St. Paul’s writings on the Church. A letter to a deeply troubled Corinthian community, a plea for a vision of unity in a community that was fragmenting, has become the blueprint for parish management, an excuse for the importation of American managerial science (and gifts and talents surveys are nothing more). To the Corinthians, after his excursus on the gifts of the Spirit, St. Paul suggests a “more excellent way.” And he then offers his chapter on love – among the most sublime passages in all of literature. We are not saved by our gifts and talents. The wonderful good news in this upside-down world of salvation is that everybody can be weak and foolish. Gifts and talents are for the gifted and the talented (and in the American imagination, we are all gifted and talented – all the children are above average). Our union with Christ is precisely in our brokenness and shame – and we fear to go there. We pity those who are broken and work hard (and even pretend) not to be among their number. The gospel of gifts and talents unwittingly underwrites the social/economic agenda of the culture in which it dwells. The mythology of success (and the stigma of failure) drives consumerism and laissez fairevocationalism. And the brokenness of our lives is experienced as life among the losers. In truth, everyone always stands on the edge of the loser’s abyss. The gospel of the weak and the sinner, however, is consistently the gospel presented in the New Testament. We enter the Church through Holy Baptism, in which we engage in repentance. True repentance is the acknowledgement of weakness and sin, not the promise to do better. Repentance does not mark the beginning of our success, but the embracing of our failure. I am not counseling people to go out and fail, nor by any means am I counseling an immoral life (Romans 6:1-2). But we will fail and our best moral efforts will fall short. What I am saying is that Christ meets us precisely at the point of failure and the point of falling short. It is only in our weakness that Christ’s strength is made perfect in our lives. The true and proper ethos of the Church is thus not one that celebrates success or promotes our gifts and talents. Rather, it is the place where the gospel is so clearly present that the weak and the broken know themselves to be safe. The rest of the world can bask in its excellence. Beautiful and meaningful article! Now to apply it is another thing all together. Dear father, bless! Thank you for this article. Could you elaborate a little bit about “laissez-faire vocationalism”, please?Do you mean that since everyone is wonderfully “talented,” we, for example, think we can sing really well while being tone-deaf, and inflict our “vocation” on the parishioners? Sorry for the delay! That would seem to be one part of the market transaction, with the individual offering their “gift” and then the market (in this case, the parish) deciding if it is worth accepting (please note that I, Fr. Anthony, did not write the article – I just wrote the intro for GGWB).